When you install new Kernel, the old Kernel will not remove because It can help you to boot server with old kernel if you do any mistake while installing the new Kernel. Also, old kernel consume some spaces which can be useful for something else. So In this article we will provide you multiple methods to remove the old Kernel from your server. In order to avoid any mistake first check the version of Kernel running on your system. To list all installed kernels on your system, issue this command. Note: There are some status when you check the installed Kernel. ii: means that the kernel/packages are installed and eligible for removal. rc: indicates that the kernel has already been removed. iU: is something like a warning tells to DON’T REMOVE. That means not installed but queued for install in apt. Run the commands below to remove a old Kernel along with its configuration files, then use update-grub2 command to update grub2 configuration. You can also use handy script called “byobu” to remove the old Kernel. This is combines of all the commands into a single script with useful options such as specifying number of kernels to keep on the system. Install byobu package is very easy it is available in existing repository. Use apt command to install the package. Use mention command to remove the old Kernel. The mention command kept 2 Kernels and remove the remaining Kernel. 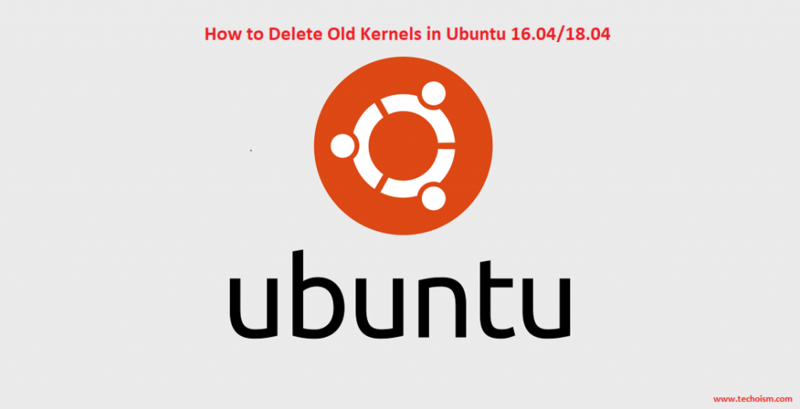 We found an interesting script which helps you to remove the old Kernel. Please follow mention steps to remove old Kernel using script. 0 upgraded, 0 newly installed, 5 to remove and 0 not upgraded. After this operation, 334 MB disk space will be freed.